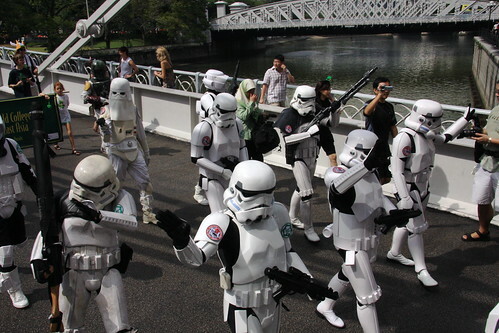 Two exciting trooping events coming up. Do join us if possible. Saint Patrick’s Day is a Irish national holiday celebrating Saint Patrick. 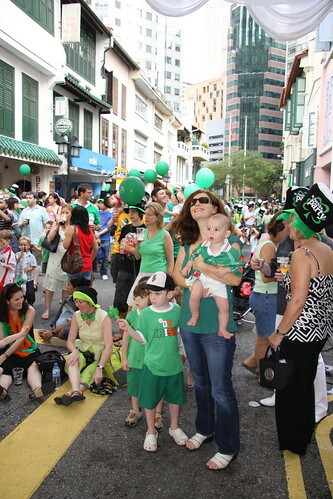 Into it’s fourth year here in Sinagpore, this year’s parade will wind its way from the Raffles Statue on Boat Quay across the Singapore River to the UOB Plaza & will include marching bands, 80+ bagpipers, Asian cultural performers, Irish dancers & a wide range of people, young and old. The parade will end at 5.15pm but there will be street parties till 9.30pm. Some pics from last year’s event. 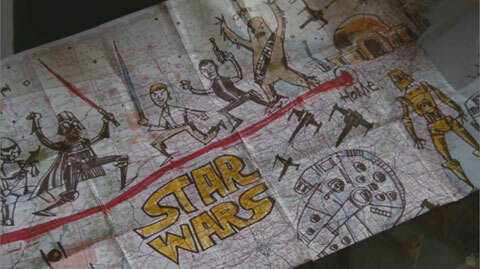 There will be cool lightsaber fighting by Jedi from Team SEJA. Check out last year’s performance below. If you haven’t heard about the movie, watch the trailer below. 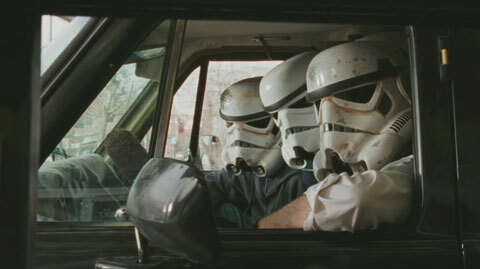 When it comes to being fanboys, you can be sure the 501st Legion will be there. A preview screening will be held on 18th March 2009 Wednesday 7pm at Cinema Europa, GV VivoCity. Locals who are interested to catch the movie and hang out with us after the show, tickets can be purchased online here or at the box office before or on the actual day. 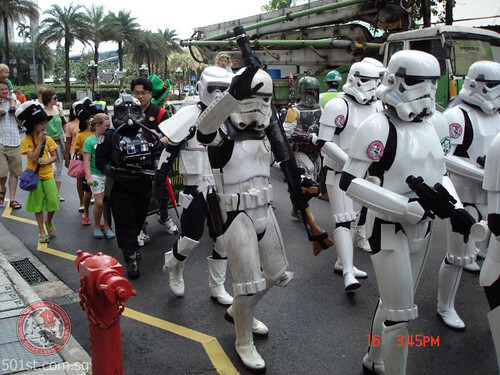 This entry was posted in 501st Legion. Bookmark the permalink. testing new threaded comment feature. of course i`ll be interested to watch the movie. Ahh..Damn the rain. 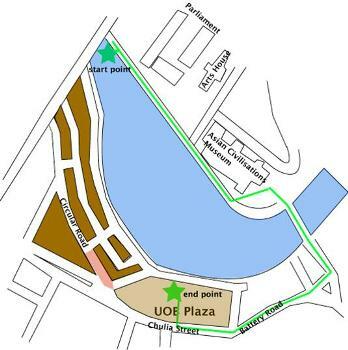 If not for it I could have went over to meet you up..
Oh and btw, I wonder if the parade still persist due to the rain? No Irish troopers with laser bagpipes? I see the clone war. Anyway, that movie is gonna be real funny. Yo dude, I think you mixed it up a little. 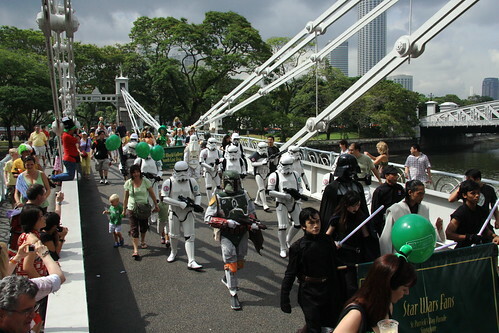 It’s the 4th parade to be held in SG, not 3rd. The rain was awesome though, been a long time since we’ve got caught in rain like that.